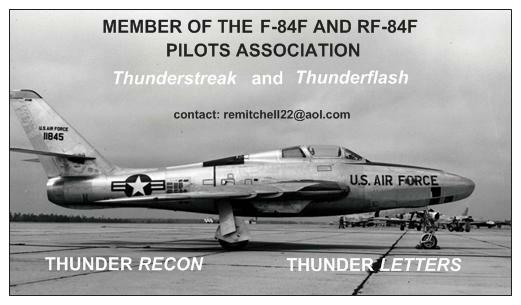 The F-84F AND RF-84F PILOTS ASSOCIATION is dedicated to preserving more of the history of the Thunderstreak and Thunderflash through first-person accounts and photographs from those who were associated with these significant jet fighters. We are also including the RF-84K in our Association. There is no cost to join. 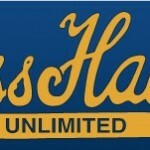 We are the home of the THUNDER CLASSICS, THUNDER INTERVIEWS, THUNDER RECON and THUNDER LETTERS e-newsletters. We are an independent, all volunteer, non-profit organization. 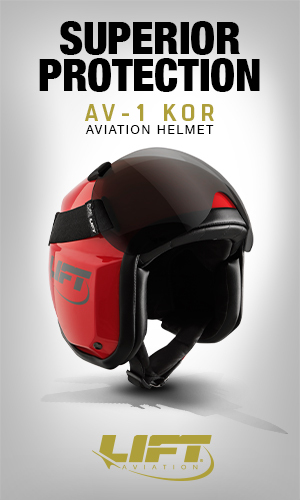 We are not directly associated with Republic Aviation Corporation or its successors. We are focused on providing high quality electronic publications. 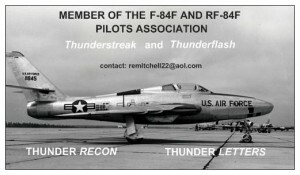 Although we charge no dues to receive our e-newsletters, we do require all members to submit at least one F-84F or RF-84F related short story, pictures or other information about their flying experiences at least once per year, or more often, if possible, in return to contribute toward the legacy of the Thunderstreak and Thunderflash. 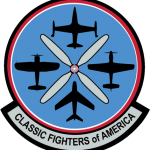 The key to the success of the F-84F AND RF-84F PILOTS ASSOCIATION will be member participation. Without that, there can be no Association. 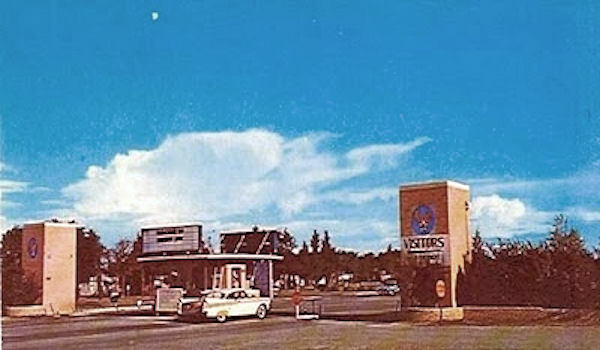 “The legacy of the Thunderstreak and Thunderflash is too excellent to be forgotten.” The association’s membership card. Developing an Association like ours is another way to share experiences among interested members. 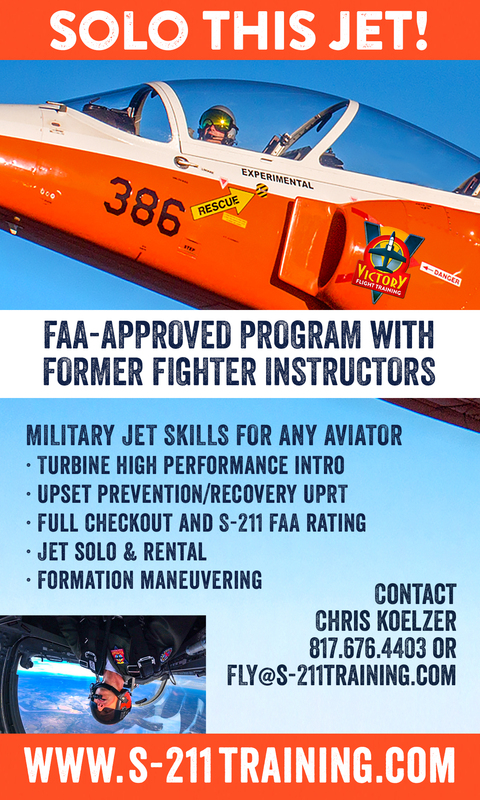 Membership is open to anyone who flew, maintained, or contributed to the legacy of the F-84F and RF-84F. 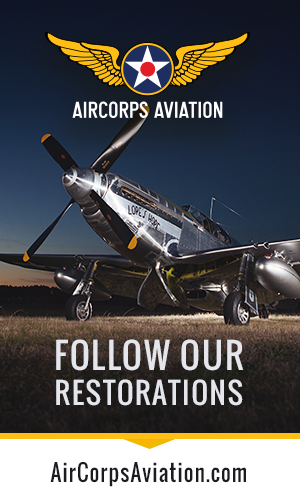 When you join, please tell us in a few sentences how you may be able to contribute your talents through the Association toward continuing the legacy of the F-84F and RF-84F. For more information, email us at remitchell22@aol.com for assistance. 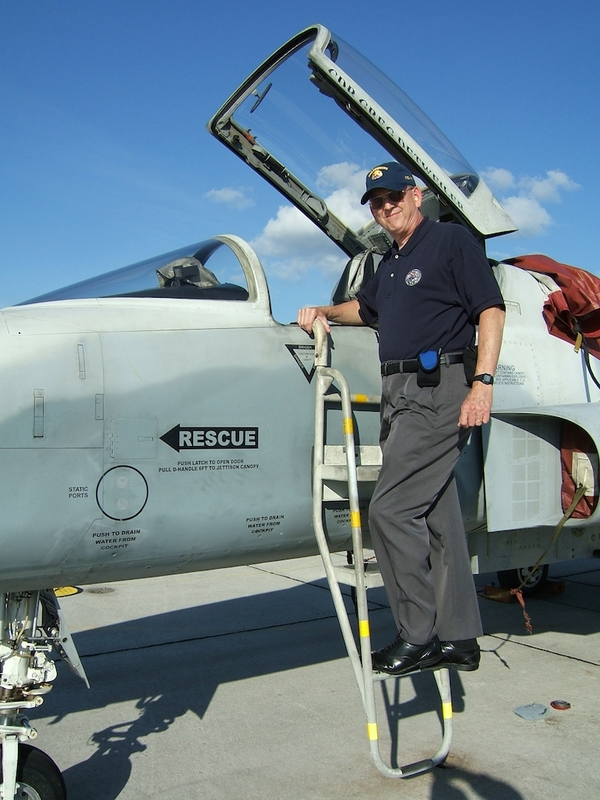 Rick is an aviation historian who has completed an extensive amount of unpaid volunteer writing for the military. 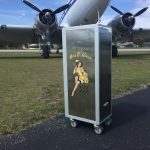 He is the son of a WWII P-51 pilot and who later flew F-51s with the Maryland Air National Guard. He later was a Colonel and the first group commander of the 175th TFG of the Maryland Air Guard from 1962 to 1976. 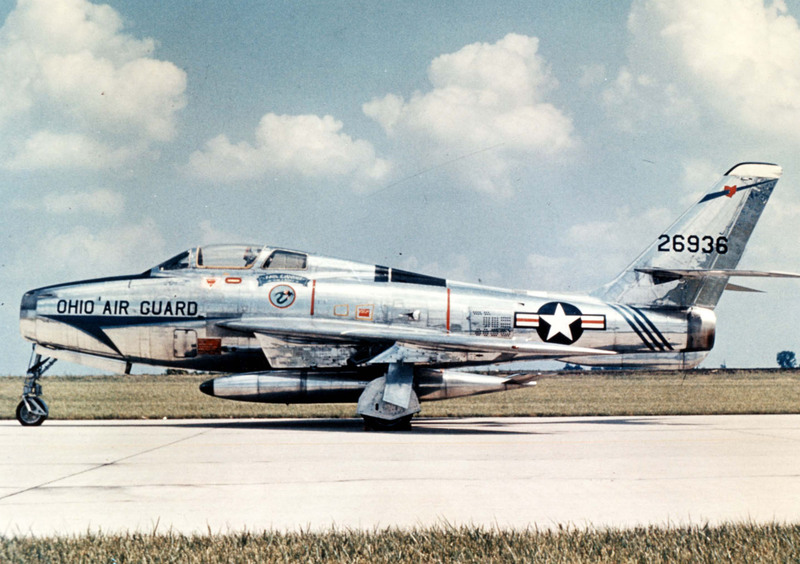 My late father also flew F-47s, T-33s, F-86s, F-100s and A-37s, as well as the C-47 and C-54 and other types. I also have over 500 radio control model airplane flights, including aerobatics. I have a personal library of many aviation reference books.In 1988, he volunteered and wrote the History of the Maryland Air National Guard (340 volunteer hours). 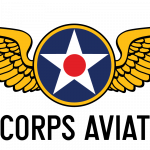 This was his father’s Air Guard unit. This book was published in 1989. he later wrote A History of the District of Columbia Air National Guard (estimated at 700 to 1,000 volunteer hours). This history book was published in 1997.He also wrote Airacobra Advantage: The Flying Cannon, the complete history of the Bell P-39 Airacobra. This book had two printings for 6,000 copies. 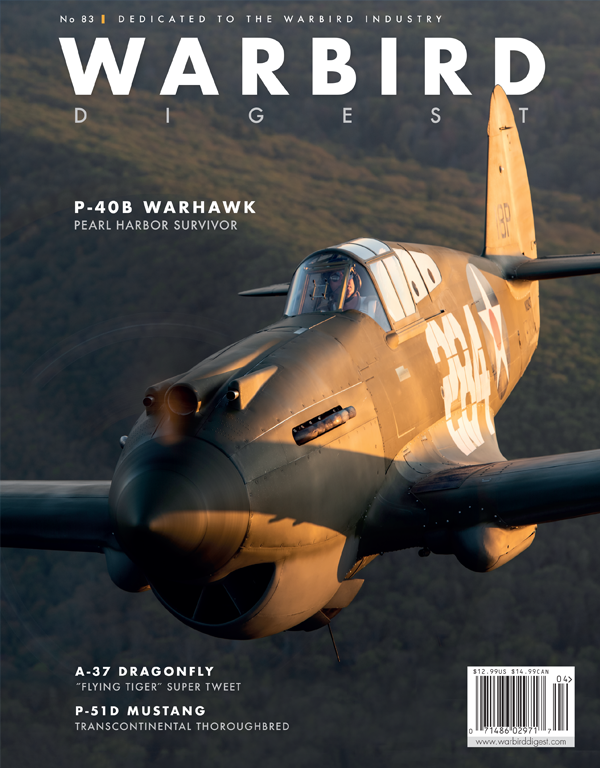 It included interviews with pilots who flew combat in WWII, as well as Chuck Yeager and others and was published in 1992. 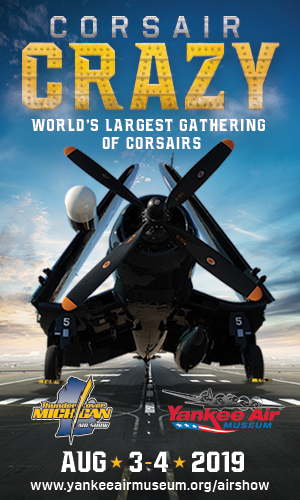 This book included the histories of all surviving Airacobras. 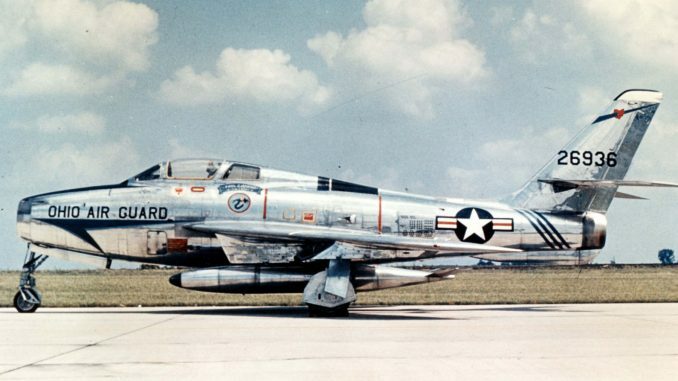 He also wrote a book about the complete history of the F-86 Sabre. This manuscript was not bought by a publisher as there were already several other writers working on F-86 books. Instead, He formed the Sabre Jet Historical Society and published a mini-magazine four times a year called Sabre Jet Classics. 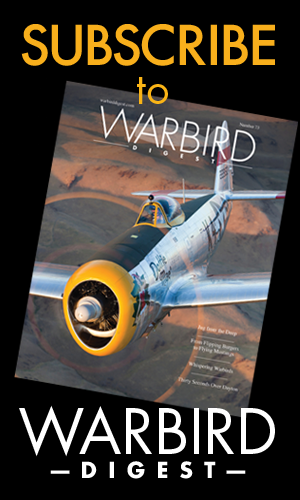 He edited that for two years before giving it to the F-86 Sabre Pilots Association who still publish it today.He is an honorary lifetime member of the F-86 Sabre Pilots Association.In late 2011, he switched to developing e-newsletters as they were faster to develop with almost no cost involved. 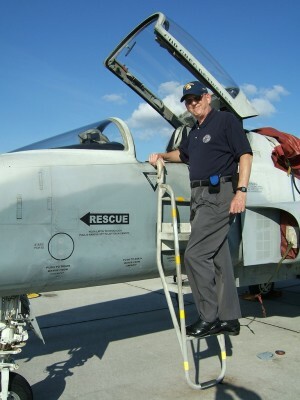 In 2012, he developed e-newsletters about the F-5 Tiger as it has a history of more than 50 years of continuous service, both in the United States and with many foreign air forces. As a result, He formed the F-5 Tiger Pilots Association. 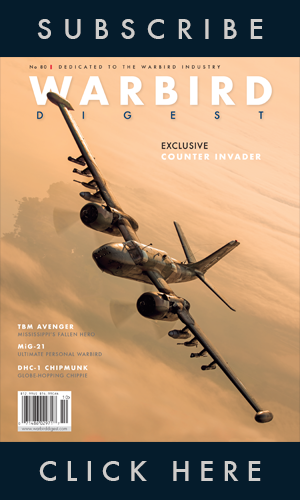 Over the course of six months, as the Founder and Editor for the F-5 Assn, we developed 90 to 100 separate stories, interviews and photo essays for our members that were emailed to them, free of charge. But the membership did not continue submitting stories and pictures. 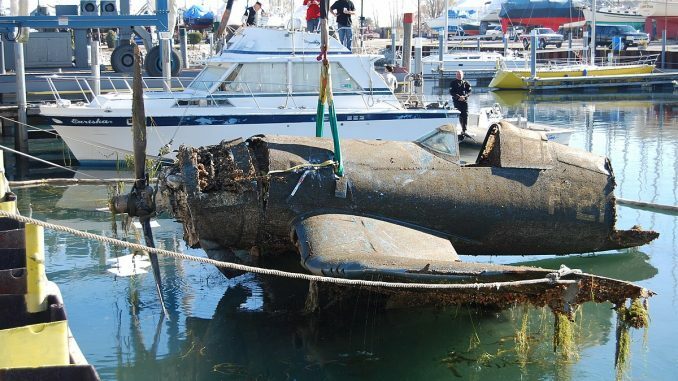 Because of this, the F-5 Tiger Pilots Association stopped by August 2012. 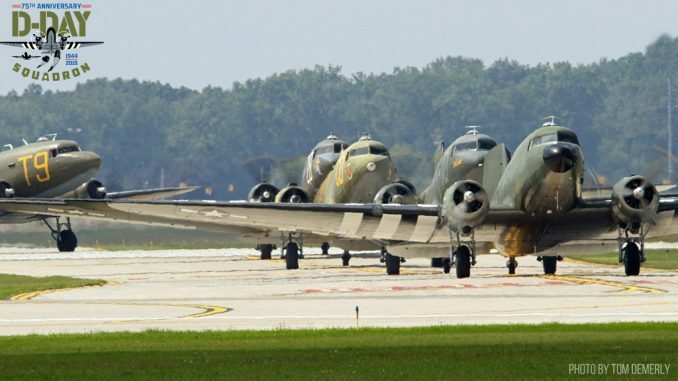 In August 2014, he developed another writing project, the F-84F AND RF-84F PILOTS ASSOCIATION as a means of developing more of the history of these famous Republic jet fighters through first-person accounts, interviews and other historical narratives. 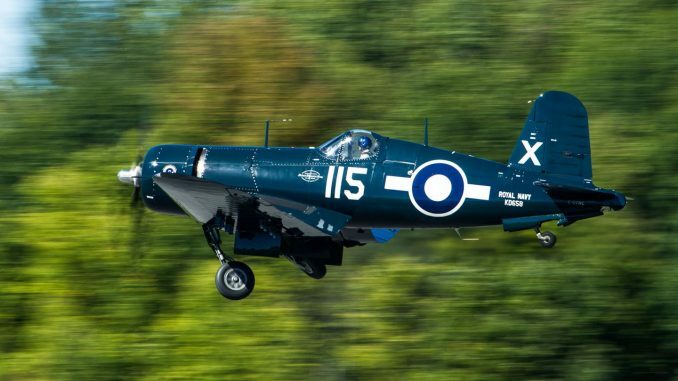 He feels that he is qualified to develop and edit material about the Thunderstreak and Thunderflash and present it in a first class, professional manner that our members and their families will be proud of. I’ve enjoyed flying the F-84F very much and just as Louis Nève I’d like to join the association. I still got the Dash One in the attic!